A beautiful, colourful oil on canvas portrait painting by Francis Dodd RA. 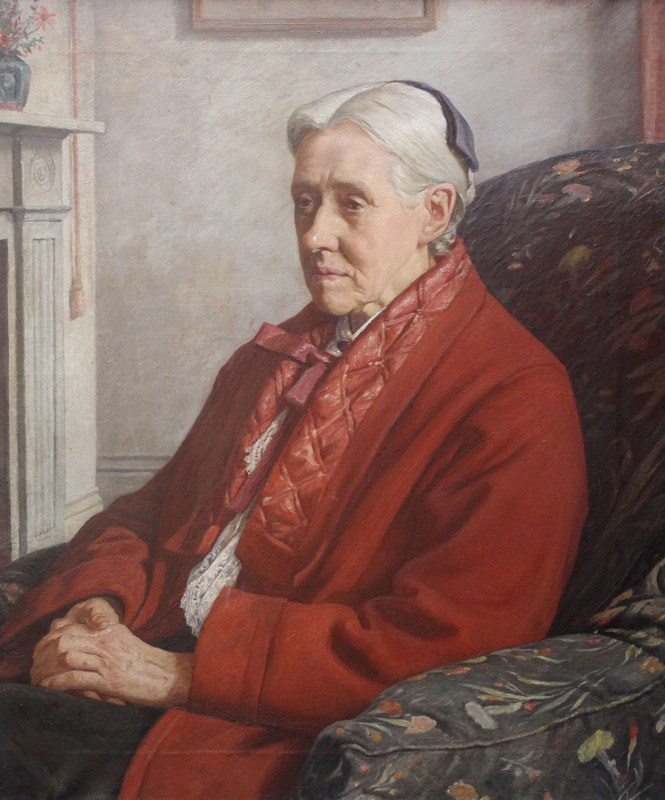 The work depicts the Feminist and famous artist Susan Isabel Dacre who was a founder of the Manchester Society of Female Artists in the late 19th century. An important portrait, the painting depicts the sitter at Francis Dodd's house in Blackheath where she lived with him for a period. 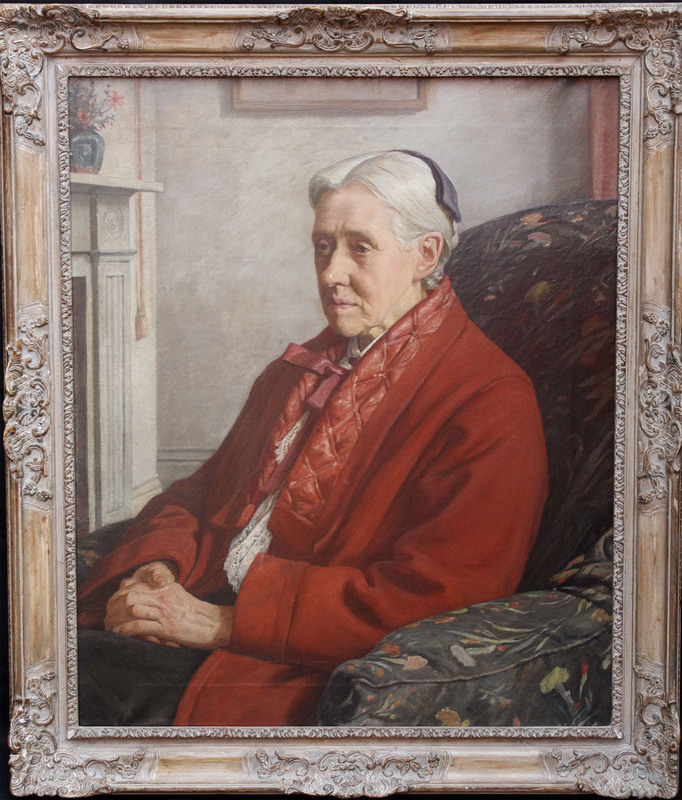 A fine example of a British portrait painting which dates to circa 1929. Francis Dodd label verso with sitter's details. Francis Dodd - Artist labels verso. The Royal Academy as Number 600 in 1929 with the title Miss Dacre. Gallery Edward Havane - London. James Bourlet frame. In good condition, the size is 38 inches by 34 inches. Francis Edgar Dodd RA (1874-1949) was a British portrait painter, landscape artist and printmaker. Dodd was born in Holyhead, Anglesey, Wales, the son of a Wesleyan minister. He trained at the Glasgow School of Art alongside Muirhead Bone who married Dodd's sister. At Glasgow, Dodd won the Haldane Scholarship in 1893 and then travelled around France, Italy and later Spain. Dodd returned to England in 1895 and settled in Manchester, becoming friends with Charles Holden, before moving to Blackheath in London in 1904. From 1911 Dodd lived at Arundel House (51 Blackheath Park) in Blackheath, London SE3, until his death in 1949.